Nashville Wraps has teamed up with our vendor Distant Village Packaging to help one bright young girl attend college who would not have been able to go otherwise. Distant Village Packaging is an award-winning sustainable design firm that produces handmade packaging from natural materials. They work with remote villages around the world to create jobs for talented artisans who believe sustainability and innovative design can co-exist. We carry several of their products in our line including sinamay ribbon, abaca twine and boxes made from cacao paper, hemp and wild grass. 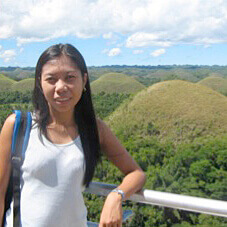 When the opportunity came to participate in Distant Village’s scholarship program, Nashville Wraps was thrilled to learn about special recipient Glaeza Guban (above) from the Philippines. Glaeza, the only girl in a family of three brothers, graduated from high school with honors and was named “Best Artist of the Year”. However, her parents could not afford to send her to college. So she went to work in an internet café and in a factory making sacks. Her dream was always to be self-sufficient and help support her parents. Glaeza’s aunt got her involved in an artisan community working with Distant Village because she knew how much she loved design. It was there that she learned how to use natural materials to make sustainable packaging (shown in the photo below). With the Nashville Wraps scholarship, Glaeza has just finished her first year of college majoring in Marketing Management. Her goal is to complete her BBA (Bachelor of Science in Business Administration) and eventually help manage the Artisan group. She wants to help other women further their creative skills and help pay for other young people go to school. Nashville Wraps is very honored to help Glaeza, and we look forward to hearing great things from her. All Distant Village scholars are required to maintain an 85 grade average and help with the Artisan community after graduation. For more information about this scholarship program, please contact Distant Village Packaging. Kudos to Nashville Wraps for joining vendor Distant Village Packaging to offer a college scholarship to one lucky young lady! Founder of Distant Village, Inc.